Celtic swords There are 12 products. Celtic sword combat antennas made of carbon steel CSN 14260 (DIN 54 SiCr 6) with a hardness of 44-48 HRC. 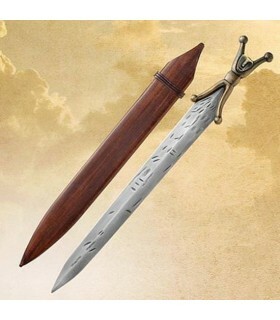 The handle of the sword is shaped like a human being: the knob corresponds to the head, body and legs grip are saved to serve as protection on hand. 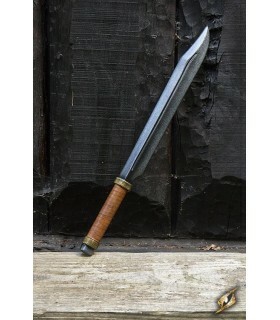 Celta long sword with steel blade and handle with spring EN45 brass finish representing Celtic warrior. 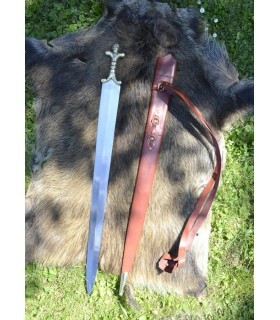 It includes wooden sheath covered in leather belt. 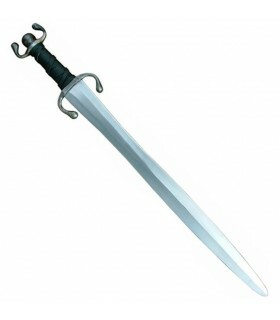 Celtic Short Sword, 63 cms. 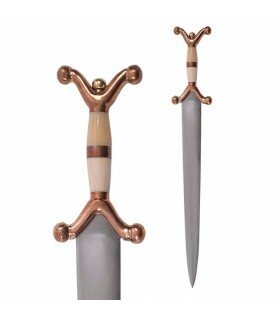 Celta Anthropomorphic Short antennas steel blade and bone handle and store copper and brass sword. It includes leather sheath. 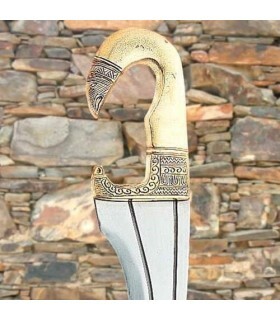 Celtic short sword made of cast bronze with great detail. Short sword Escramasajón to practice Role-playing games. 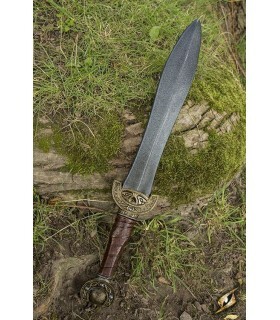 It is a sword Celtic of a single-edged blade that measures a total of 60 cms. and that has a sheet of 40 cms. The grip has a leather lining giving you a better grip on the combat. The sword is further enhanced inside a glass fiber. 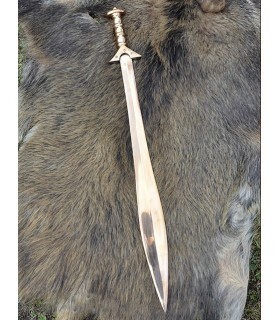 Short sword of hunting ideal for the combat LARP. The short sword is designed to serve as a short range weapon. 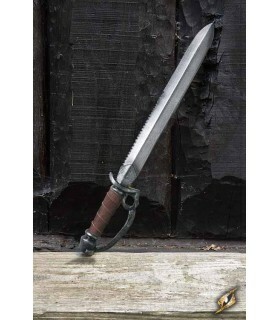 With a double-edged blade that measures 38 cms. it is ideal to get critical strikes without being detected. The handle comes with a coated leather to offer the warrior a better grip. Inside comes reinforced with glass fiber. 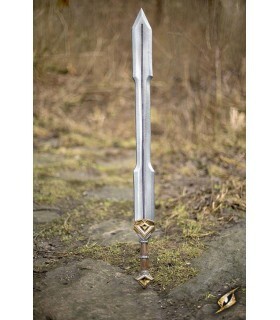 Sword Celtic ideal for the combat LARP. The blade of the sword is hand-painted color steel and is double-edged sword. The grip is ergonomic and painted with effect of wood. 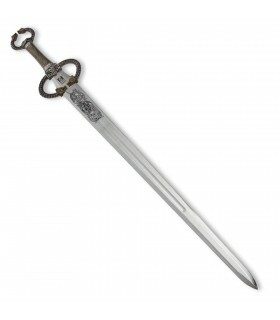 The design of the sword is based on the celtic tribes. The sword comes reinforced with fiberglass on the inside. Sword Celtic of Antennas, 99 cms. Sword Celtic Antennae with leaf-decorated in stainless steel. Grip and pommel decorated with motifs of the celts.